Midwinterblood by Marcus Sedgwick: Over the years I’ve been accumulating Marcus Sedgwick books from charity shops, library sales and the like: he’s an author I’d always thought I might really enjoy, but I never quite knew where to start with him. The recent Printz Award for Midwinterblood helped me make up my mind, though, and if the rest of Sedgwick’s oeuvre turns out to be even half as enjoyable as this, I’m in for quite a treat. How does one describe Midwinterblood? It’s a novel in stories, sort of, told in reverse chronological order going from 2073 to an unknown time in distant past, and then returning to 2073 for the epilogue. All stories are set in a remote northern island, Blessed, where in the book’s present time a young journalist by the name of Eric arrives to do research for an investigative piece he’s planning to write. Rumour has it that the inhabitants of Blessed have unlocked the secret of eternal life, but the cost of this is that no children are ever born on the island. Eric is immediately welcomed to Blessed by a man named Thor. At first he quite takes to the locals, especially to a young woman, Merle, to whom he’s inexplicably drawn. But little by little it becomes clear that this is a community with something to hide, that everyone is behaving very strangely indeed, and that the tea he’s constantly encouraged to drink is fogging up his mind and causing him to forget the purpose of his visit. Before the conclusion of present-day Eric and Merle’s story in the epilogue, we travel through time in a series of stories whose connections slowly become apparent. Eric and Merle have lived through this before, and Midwinterblood takes us to where it all began. I have to say that a story about fated lovers finding each other again and again over several lifetimes wasn’t something I expected to enjoy quite as much as this. Before I continue, time for an inevitable disclaimer where I attempt to explain that I’m not trying to dismiss romance, but to resist a very specific view of romantic love. Obviously I think anything goes in fiction, and I’ll quite happily read and embrace stories about things I know aren’t real. The notion of fated lovers or soulmates can be used effectively in fiction to capture a certain intensity of feeling that comes across as emotionally if not factually true, and obviously there’s nothing whatsoever wrong with this. My concern, though, is that some of the narratives that use this trope also reinforce views about romance that I think are both wrong and damaging: the idea that there’s One True Love out there for everyone often goes hand in and with the belief that romantic love is superior to other forms of emotional attachment and human connection; that if you miss your One Chance at true love you’re doomed to eternal loneliness; that healthy and fulfilling romantic relationships spring into existence fully-formed, instead of being the result of a conscious decision to invest time and emotional energy in someone, and of a daily effort to communicate with, listen to, support and understand the person you’re intimately involved with; that heteronormativity is what everyone should be aiming for; and so on and so forth. The reason why I loved Midwinterblood, then, is that it manages to explore the idea of fated lovers in a way that avoids these traps. The way love is defined in the narrative is refreshingly wide, and to me this is what made the book. Eric and Merle aren’t always romantic lovers: in some of the stories they’re parent and child, in others siblings, in one a child and a lonely old man who become friends; and in one of my favourites, a WW2 story called “The Airman”, the two never even meet. Instead, Eric saves Merle’s father’s life — thanks to his kindness, a little girl he’s never met is spared a great deal of pain. I love that an act of compassion such as this was included in the novel’s definition of love. She knows that they both believe the same thing, that if a life can be ruined in a single moment, a moment of betrayal, or violence, or ill-luck, then why can a life not also be saved, be worth living, be made, by just a few pure moments of perfection? She shuts her eyes, and dreams of swimming with him. Immediately, the rest of the world drops away. Also, somehow I had the impression, from comments I’d heard here and there, that I wasn’t to expect much from the prose in Midwinterblood even if the story was good. So I was surprised to find Sedgwick’s writing as impressive as I did. I suppose you could call it sparse, but in a crafted and very striking sort of way. It can’t be easy to use such economy of language and yet make your setting come to life and immerse the reader in your narrative within only a few pages. By the end of section one of part one (a total of three pages), I knew I was a goner. Segwick also excels at capturing a feeling I can’t quite describe, but that I know I’m constantly looking for in my reading. It’s a sense of… mythic timelessness, I suppose, that I associate with books like Ragnarok or The Owl Service or Mortal Love, and that I think might be what Le Guin described in The Language of the Night. It reminds me of being little and of reading my book of Greek myths again and again, of having the stories resonate with me without quite being able to pinpoint why, and it’s one of the first things that drew me to fantasy fiction. One last point before I move on: the discussion of Midwinterblood at Someday My Printz Will Come is really interesting and worth reading. I disagree with a lot of it, but thoughtfulness rather than agreement has always been the point of reading criticism for me. One of the points discussed is whether or not this is a book that should be classified as YA, since it completely breaks with a widely used definition of what makes something qualify (the protagonist(s) will be teenagers). I just wanted to say that one of the reasons why I enjoyed the book so much, and why I was glad it won the Printz, is exactly that it’s one of those novels that expand our understanding of what YA can be. Coming up with working definitions has its practical uses, of course, but I also find it useful to remember that genres and marketing categories are very fluid, and that there will always be wonderful books that exist outside the boundaries we draw. Midwinterblood is a reminder of that. 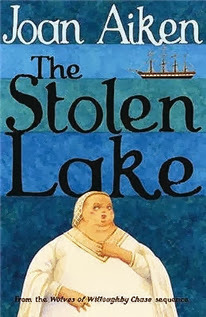 The Stolen Lake by Joan Aiken: Why did no one tell me this book was secretly Arthurian?! I’d have read it ages ago if I’d known. My Joan Aiken kick continues with the further adventures of Ms Dido Twite, heroine extraordinaire. This time, we follow her into South American as the ship that was meant to take her back to England gets sidetracked by an unexpected diplomatic mission. Only this being Joan Aiken, this isn’t South America as it exists in our world. Dido finds herself involved in political intrigue and secret plotting between the nations of Lyonesse, Hy Brasil and New Cumbria as she attempts to help the queen of the latter recover a literal stolen lake. First of all, let me begin by telling you what Joan Aiken’s alternative South America entails: instead of being colonised by the Spanish and the Portuguese in the fifteenth and sixteenth centuries, the continent was colonised by the Romans and the Celts centuries before that. This kind of alternate history inevitably puts me in mind of the discussions surrounding The Thirteenth Child by Patricia Wrede and everything I learned about the implications of erasing Native peoples from fictional worlds at the time. In Aiken’s case, one could presume that the Native peoples of South American are still there, only some would be speaking Latin rather than Spanish or Portuguese, as this would have been the language first imposed on them. The book doesn’t dwell deeply on any one of this, though, and I’m sure people more knowledgeable than I am could examine this set-up and its implications in really interesting ways. I wanted to at the very least acknowledge it, though, and to offer my apologies for being cursory about something that deserves more than a cursory glance. In a South America with cultural ties to the ancient world rather than to Southern Europe, Aiken has her characters re-enact Arthurian mythology in interesting and inventive ways. As I said in my opening line, I had no idea there was anything even remotely Arthurian about The Stolen Lake, and figuring out where the story was going and who was meant to be who was a source of immense delight for me. The other thing that delighted me was, as usual, Aiken’s sheer linguistic inventiveness. She fits so much characterisation into her character’s speech patterns, and it’s all so exuberant and such a complete joy to read. How could I fail to enjoy a book with moments of humour like this? Mr Holystone was far too well trained to betray surprise. He had attended butlers’ school in London; part of the course consisted of half-an-hour’s poker-face work every morning. And how could I not love Dido Twine, when this is what her speech and internal monologue sound like? Best watch out for him, Dido thought. They all looks to me as if they’d come from a thieves’ kitchen; I’d not buy three penn’orth of brass nails from any of them; but that Inquisitor’s the loosest screw in the bunch, or my name ain’t Dido Twite. A dismal stench hung around the place. ‘Like unwashed Christmas socks full o’ rotten potatoes,’ as Dido said. Caradog looked at her as if she had gone mad. I enjoyed every moment spent with kind, practical, resourceful Dido, and as before her relationship with other girls made me really happy. This isn’t to say that there weren’t sad-making moments in The Stolen Lake when it comes to how the ladies are treated — for example, the narrative is very harsh to poor Guinevere, even if Dido thinks to herself, “Why must I go on feeling sorry for people, even as they’re being wicked?”; the remarks about the queen’s weight and ageing were particularly cringe-worthy. Yet on the other hand, we once again have Dido rescuing other girls and then empowering them to rescue themselves. Much like with Penitence in her previous adventures, Dido relationship with Princess Ellen was just lovely to see. "I just wanted to say that one of the reasons why I enjoyed the book so much, and why I was glad it won the Printz, is exactly that it’s one of those novels that expand our understanding of what YA can be. Coming up with working definitions has its practical uses, of course, but I also find it useful to remember that genres and marketing categories are very fluid, and that there will always be wonderful books that exist outside the boundaries we draw." I love those lines! We need books that try to expand and push the boundaries of what we think is necessary in any genre. Midwinterblood sounds like a book that I need to put on hold now. Both authors I have read before and really need to read again! I am definitely sold on Midwinterblood, not that I'm not sold on the Aiken book, but seriously I have never liked (and avidly avoided) books about "soulmates through time" because of the very problems you stated. The concept of One True Love is so remarkably detrimental to our enjoyment of life; then you throw in this idea that we find each other over and over again, and in my mind, you have a hot mess of expectations which can never be fulfilled. You definitely have me intrigued. Midwinterblood sounds interesting! So glad you've been enjoying your reading! I love the cover for Midwinterblood, and you make it sound very interesting. I've got to do a lot of catching up with Dido Twite, too. Funny, I was just reading the SLJ Battle of the Books review that totally disses Midwinterblood...when I thought, "I wonder what's on Things Mean a Lot these days?" I will have to read it to decide for myself. Vasilly: Really looking forward to hearing what you think! Kelly: Which Marcus Sedgwick have you read? Trisha: I know exactly what you mean, but I loved how this book approached it. Do let me know how you get on with it! Geranium Cat: One can never have enough Dido! It took me a few years to move from book one to book two, but now I think I'll get to the end of the series before too long. Lory: I read that with much enjoyment despite my completely opposite experience with the book! Let me know on which camp you fall. OK, I've read it now, and I found it a quick-moving and in some ways fun read, but ultimately unmemorable. I kept hoping I would learn something about the characters that would make me actually care about them, but I never did. Also, I agree with Mac Barnett about the cliched nature of the language, though he makes it sound worse than it is. It's more undistinguished than actively bad. I was hoping to enjoy it more, but at least it wasn't a totally excruciating experience. 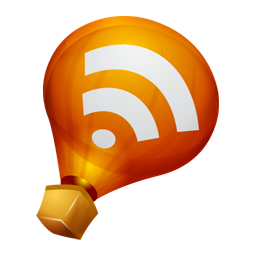 Lory: Thanks for coming back to share your thoughts! I actually liked the writing, but I agree that the characterization isn't the book's strongest selling point. I'm usually very much a character development oriented reader, but in this case I didn't mind that we don't get to know the characters very well. 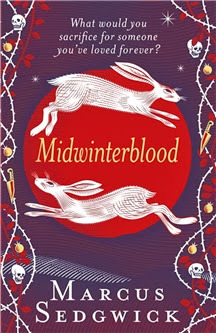 There's just something about weird mythical Alan Garner-ish stories that satisfies a whole other side of my reading cravings, and to me Midwinterblood was perfect that way.